Fluorocarbon fishing line has been around for a long time in saltwater fishing, mostly used as leader material for line shy fish. As the manufacturing process improved, the line companies started introducing fluorocarbon fishing lines for freshwater fishing applications. Competitive anglers, especially in the walleye and bass fishing world, quickly discovered that the best fluorocarbon line choices had some big time advantages over the standard monofilament they’d been using for decades. 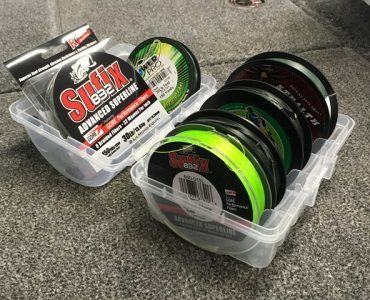 This article explores why and when to use fluorocarbon line, and which lines I have determined are the best fluorocarbon line for bass fishing or any type of fishing. 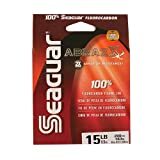 Seaguar Red Label – Best for the Money. Performs well, easy on the wallet. 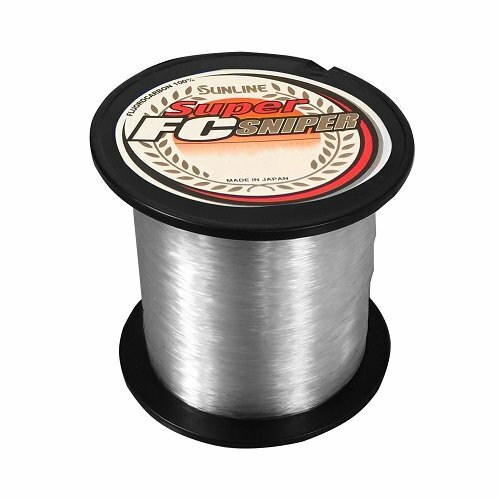 Sunline Super FC Sniper – Smooth casting, premium fluorocarbon. Seaguar InvizX – When invisibility is a must. 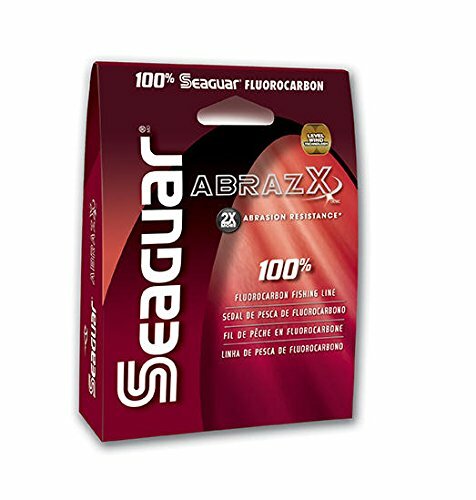 Seaguar AbrazX – Toughest fluorocarbon for fishing nasty cover. 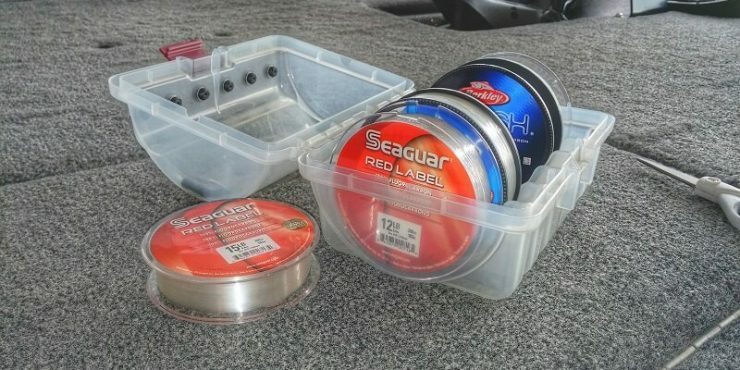 Fluorocarbon is great for a lot of fishing techniques, and for bass and walleye fishing thanks to its invisibility and toughness. Let’s look in depth at the properties of fluorocarbon that make it such a versatile fishing line, and why you need it in your tackle box. Nearly Invisible to Fish – The molecular makeup of fluorocarbon gives the line a refractive index very near that of water. All that means is it passes light nearly as well as water and doesn’t distort or block light. This quality makes fluorocarbon excellent for finesse fishing like shaky heads, drop shots, and wacky rigs. You should also get more bites from line shy fish in clear bodies of water. More Sensitive than Mono – Most anglers think fluorocarbon line doesn’t stretch as much as monofilament. The fact is fluoro stretches more than mono, but at a much higher force. This phenomenon can be attributed to the high density of the lines molecules, which provides higher sensitivity and a perceived lower stretch. High Line Density – The technical name for fluorocarbon is PVDF, a dense polymer compound. This density causes the strands to have more weight than mono or braid of equal diameters. A denser line makes it easier to cast further and the line also sinks in water. 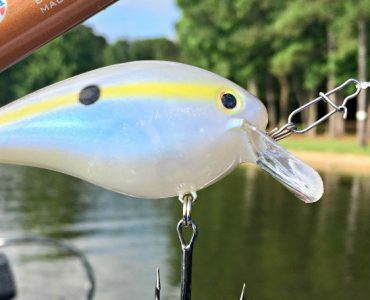 The sinking ability makes it good for bottom lure presentations like jigs and plastics, and also aides in getting crankbaits down to their optimal diving depth. Not for Topwater – Since fluorocarbon sinks, that makes it a poor choice for topwater lure like poppers, spooks, and buzzbaits. Weightless plastic presentations such as the Senko and Fluke are in a grey area. You can use fluorocarbon for them, but know that it will increase your sink rate and you might not get the action you want. I like mono for Fluke fishing because I can keep the Fluke dancing on the top more easily to draw strikes. Abrasion Resistant – The high density of PVDF molecules also means fluorocarbon lines are excellent at resisting abrasion due to contact with rocks, wood, and other objects. I’ve found my brush pile fishing to be far more effective with fluorocarbon than with other lines. I get the benefit of invisibility and the toughness to survive the snaggy brush. There are a boatload of fluorocarbon fishing line on the market these days. It seems like every year manufacturers are one upping each other with more exotic and more specialized lines. The good news is you can ignore the marketing hype, and keep your approach much simpler than that. Nobody has the time to try them all, but I’ve tested a bunch. I’ve settled on these as my best fluorocarbon line for all types of fishing I do. I like them because they work well, are reliable, and most stores will have at least one of them if you are in a pinch. 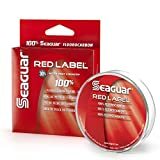 Seaguar Red Label is an all-around workhorse fluorocarbon fishing line. Sure, there are more premium lines that are a little softer, or maybe a little tougher, but you’ll pay far more for it. 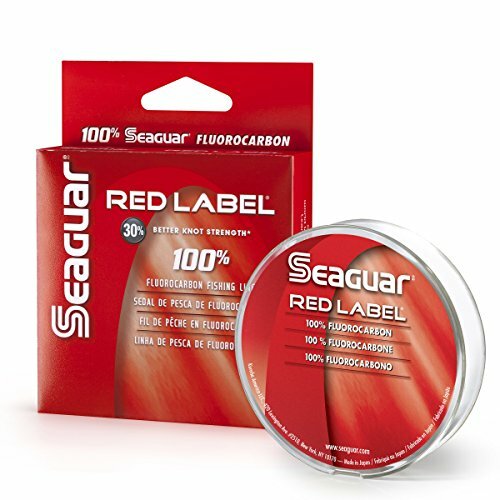 Why pay more when the reliable Red Label can be used it for nearly any bass fishing application? I fish it through some gnarly brush and rock on my home lake and it holds up well. Castablility is also good; I can launch a 3/8oz swim jig a mile with it. Perhaps best of all is it is widely available in stores, even the local Wal-Marts, and the price is hard to beat. For less than $20 I can spool up 15lb line on 2 baitcasting reels. I typically use 15lb for fishing jigs, plastics, and Carolina rigs. I step down to 12lb for shaky heads and also on all my crankbait setups. Sunline Sniper is a premium fluorocarbon line at non premium price. 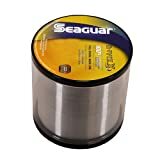 It’s slightly more expensive as Seaguar Red Label, but comes in 200yd spools rather than 150 yards. That makes it easy to back my reels with equal sized monofilament to get 2 baitcasters loaded with 100 yards of Sniper. Super FC Sniper is smooth, supposedly thanks to three coatings of resin. It must work because it simply feels better when you spool it up. The other thing I really love about this line is how little memory it has. After a few weeks sitting in my rod locker, a few sprays of line conditioner freshens it right up like new with little coiling effect. One other benefit of Sniper is the size selection. Red Label goes from 10, 12, 15, 17, 20lb test, while Sniper has 10, 12, 14, 16, and 20 pound. Sometimes 17 and 15 lb are a little heavy, and 16 and 14 lb can come in handy for those situations. 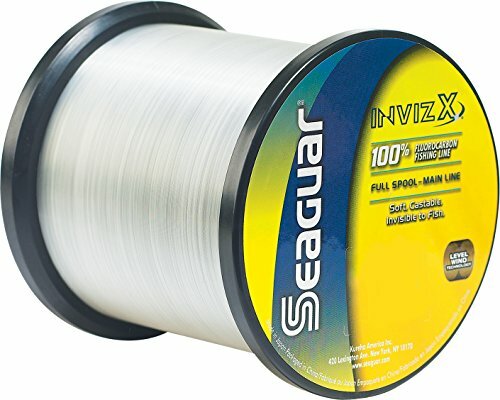 InvizX by Seaguar is a step up from Red Label or Sniper, and is a super popular fluorocarbon line. It feels softer in comparison to Red Label, and has pretty low memory on my baitcasting reels. For spinning reels, you’re going to deal with the same issues that you have with any other fluorocarbon. Just make sure you don’t overfill your spool, and you shouldn’t have much trouble. The 17lb test InvizX is awesome for flipping jigs and creature baits into shallow grass and wood. 12lb is perfect for your crankbait rods, and the 8lb is what I typically use for drop shot fishing. The castability is what I like the most about this line. 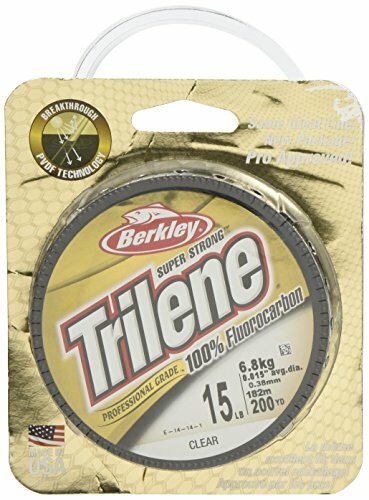 Berkley Trilene 100% Fluorocarbon is another excellent line to try out. 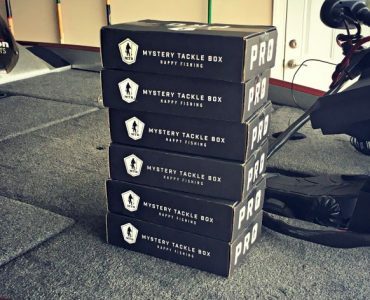 Alot of professional bass anglers use it exclusively, and they don’t settle for anything. I use 10lb and up on baitcasting reels, and 8 or less on spinning reels. Be sure to not overfill your spool with this fluorocarbon, as it has a little bit of memory that can cause line to jump off the spool. The durability and casting with this line is excellent. You can use it around laydowns and rocks without worrying about abrasion. Just check the last few feet of line every few casts and you’ll see how tough it is. The other nice feature is having the choice between clear and green line. I can’t think of another fluorocarbon that has that option. Green fluorocarbon is great in water with a little color to it. AbrazX is the tougher relative of InvizX. Where InvizX is known for crystal clear performance under water, AbrazX is known for extra tough resistance to knicks and abrasions from fishing the worst possible cover. For that extra toughness, you get a stiffer line as a tradeoff. But if you’re fishing jigs and plastics in heavier rock piles or brushpiles, that is a good trade to know your line will hold up. 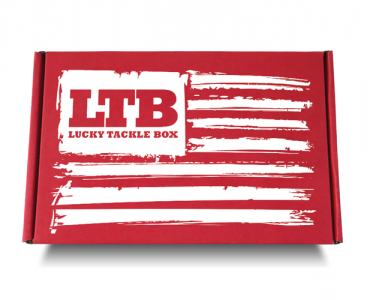 AbrazX is pricey, but it’s a very good line for the heavy cover style of fishing. I like to use it when dragging football jigs on rocky points and ledges. It’s also outstanding for fishing crankbaits through brush and wood. There are a few drawbacks to using fluorocarbon fishing line. 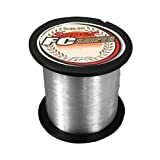 Namely, the line management and shock strength of fluorocarbon fishing line can be a challenge to anglers just getting started with it. The best thing is to stop being afraid of it, and pick one of the above lines. Try it for a few trips on different rods with different lures to get used to it, and adapt as you see fit. To help you get started, here are my best tips for using fluorocarbon line. Tie Proper Knots – Tying a quality knot is super important to having success with fluorocarbon. I tie a Palomar knot for all my direct knots to lures and hooks. The key is for the strands of line to never cross each other, which causes the friction and leads to knot failure. All those people complaining about fluoro breaking are tying bad knots. When you double your line through the eye, make sure they are parallel and don’t cross. When you pass the loop through the half knot, don’t tighten just yet. Pull the loop back over the hook and hold it in your fingers with the tag end. Slowly pull it tight until it gets close. Make sure you moisten the knot as you pull it tight. You should have a smooth cinching feel as you pull it tight. You should have minimal curly cues on the tag end, and no abrasions on the main line. Line Size Considerations – I’ve found the biggest problem in casting with fluorocarbon is having mismatched line size with the rod and lure weight. 15lb fluoro on a MH casting rod is going to have some trouble with a 1/4oz jig. Likewise a 1/8oz shaky head isn’t going to cast optimally with 12lb line on a MH rod. Here are some general guidelines for which size line to use for different techniques. Your personal preference may vary from mine. 20lb Fluoro – Pitching, Flipping, larger Swimbaits. Weights: 3/8oz – 1oz. 15lb Fluoro – Pitching, Flipping, Carolina Rig, Texas Rig, Spinnerbait. Weights: 5/16oz – 1/2oz. 12lb Fluoro – Texas Rig, Crankbaits, Shaky Head, Senko. Weights: 3/16oz – 3/8oz. 10lb Fluoro – Shaky Head, Wacky Rig, Split Shot, Crankbaits. Weights: 1/8oz – 5/16oz. 6-8lb Fluoro – Finesse Shaky Head, Jig Worm, Drop Shot. Weights: 1/16oz -3/16oz. Use Line Conditioner – Using a line conditioner like KVD Line and Lure is going to make your life with fluoro much easier, especially with spinning reels. A few sprays per spool each day will tame a lot of the backlashing and wind knots you might otherwise get. I spray my reels the night before I’m fishing and it has made a huge difference in line management. Great vid. It helps to put a glass bead above the knot so when the weight slides down its not pushing itself onto the knot. It also will give it a little click to help attract fish. Good tip Carl. Just like on a C-rig. I haven’t had any problems with Eco Pro tungsten weights damaging my knot, but the bead trick will be good to try sometime. When is it best to combine Braid and fluorocarbon lines as a leader? When is it best to use only fluorocarbon line? Generally, you should use flouro as a leader on spinning gear, anytime you want the advantages that fluoro has over braid. Invisibility, abrasion resistance, sinks, etc. You can use a really nice flouro line that way and not have to use up the entire expensive spool. Usually, flourocarbon only works best on baitcasting reels, they handle the memory much better.